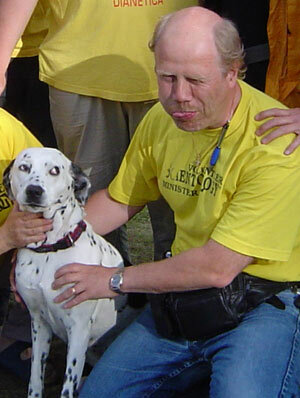 It is my friend Peter Gröhn who lives in Malmö and his dog Flisan. The photo was taken last summer. You can write some funny, nice comment here for him. I will soon send an e-mail to him with a link to this post :) . He was embarrasing me last summer and now this is the revenge, hehe.